the most Eastern tip of North America, and of course the most Easterly point of Canada, where the beautiful island of Newfoundland lies. Newfoundland and Labrador is located on the eastern edge of North America. Our capital city shares the same latitude as Paris, France, and Seattle, Washington. And by plane, we're just three hours from Toronto, four from New York, and five and a half from London, England. Watch this! province on the Eastern Edge. Mix cake mix according to package, then separate into three bowls. Add a different colored jelly powder to each bowl and mix well. 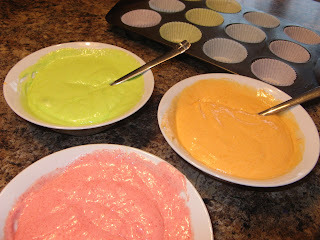 Place a spoonful of each colored batter into muffin cups, do not stir. Bake according to cake mix directions, then cool. Top with your favorite frosting. I agree with Rana, I couldn't have said it better myself! Thanks you guys...I love getting comments on my posts! 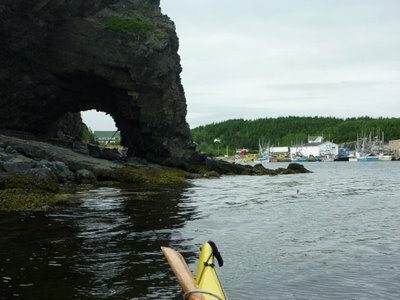 Newfoundland & Labrador looks wonderful! I've only ever been to Vancouver (beautiful, but it rained a lot) and Winnipeg (a bit boring and boiling hot in the summer, absolutely freezing in the winter!) Thanks for an interesting post - glad you're following my blog. It looks like a wonderful place. I've traveled much of Canada, but never up in that area. I'd love to go there one day. Wow. 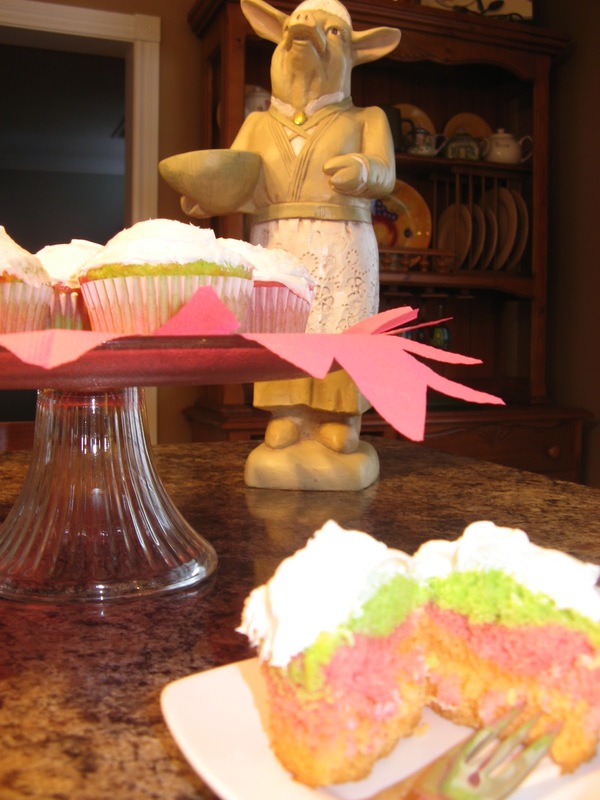 Both the Eastern Edge and the Easter Cupcakes! Great cupcake tip! I tried it out this weekend with Coconut Lime cupcakes for Rana's nacho night. I swirled the lime mixture in with some vanilla. It was subtle, but fun to experiment with. Thanks! What a beautiful place to live! I'm here on H day from the A-Z Challenge. Hope you'll be back.